Since I arrived in Vermont about two months ago and started asking strangers where I should eat, a few places always come up. The Vergennes Laundry is one of them. Last week I was in Shoreham to report a story about Vermont Cider Week, affording me the perfect opportunity to stop by the pastry shop on my way back to Burlington. My timing, however, was not perfect. I arrived at 2:45 p.m., 15 minutes before closing. 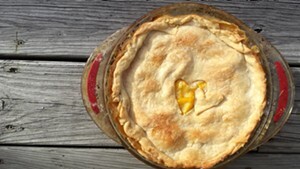 By the end of the day, most bakeries have sold out of most, if not all, of their edible items. What remains can be disappointing, at least to some. So my first impression of Vergennes Laundry wasn't ideal, but it was an opportunity nonetheless, and I was incredibly hungry. Sometimes you just have to take what you can get. I approached the counter. It was half empty, but still offered caramels, cookies and a few types of pastries. A tall, soft-spoken man with a French accent asked how he could help me (I later learned he was co-owner Didier Murat). I asked him for the best thing in the case. 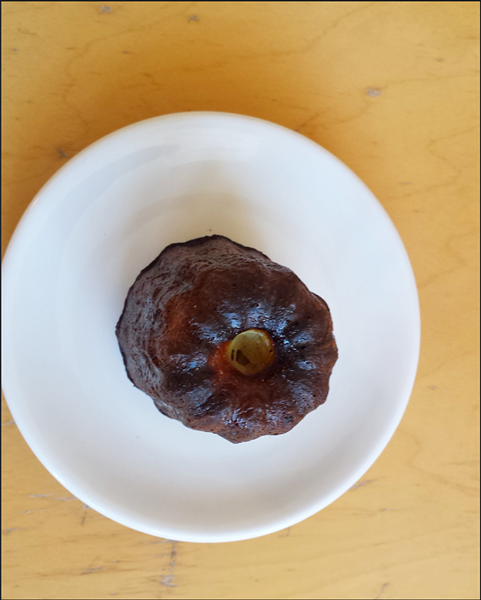 He paused, noting sadly that there wasn't much left, but then brightened and told me confidently that the best thing left in his case were the canelés. I padded my order with cookies and caramels, just in case. The lady next to me gushed about the cookies, explaining that she drove several hours to get them, along with some bread. Then she proceeded to watch me eat mine. 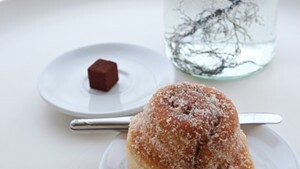 Sitting with my plate perched precariously on a small ledge, I pierced the mini Bundt cake with my fork and pulled out a bite. While the outside had the color of a traditional Bundt, deepened to almost a char-looking hue from the caramelization, the inside was airy and cream colored. As I ate, Murat slipped over from behind the espresso machine to tell me how the cakes were made in copper molds each morning. And how they’re baked at 500 degrees to get the caramelized exterior. Just as quietly as he had appeared, he disappeared again, summoned by a new customer. Later, I told a coworker about my outing. 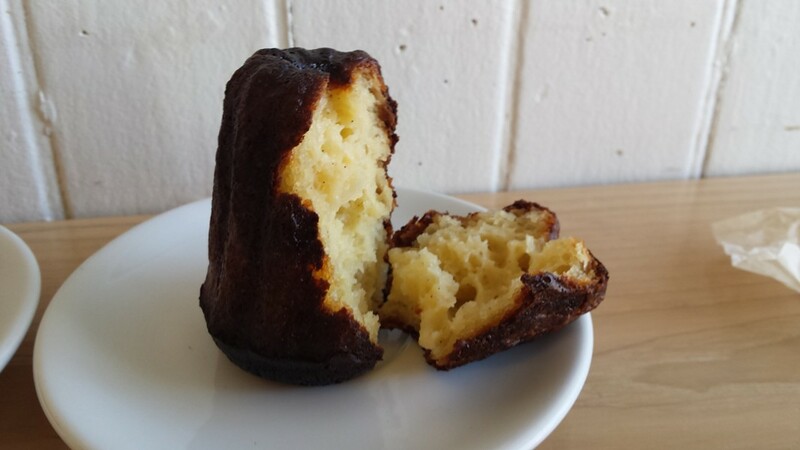 She seemed disappointed, telling me the canelé wasn’t the best thing at Vergennes Laundry, and that I’d should go back and try, among other things, the chocolate croissant. I never argue when someone tells me to eat a pastry, but I thought back to my dessert with its rich, sweet, caramel-y crust and the vanilla-rum, fluffy, cakey-custardy interior. I thought it was quite divine. If that isn’t the bakery's greatest, I can’t wait to return. I hear the croissants are out at 8 a.m.